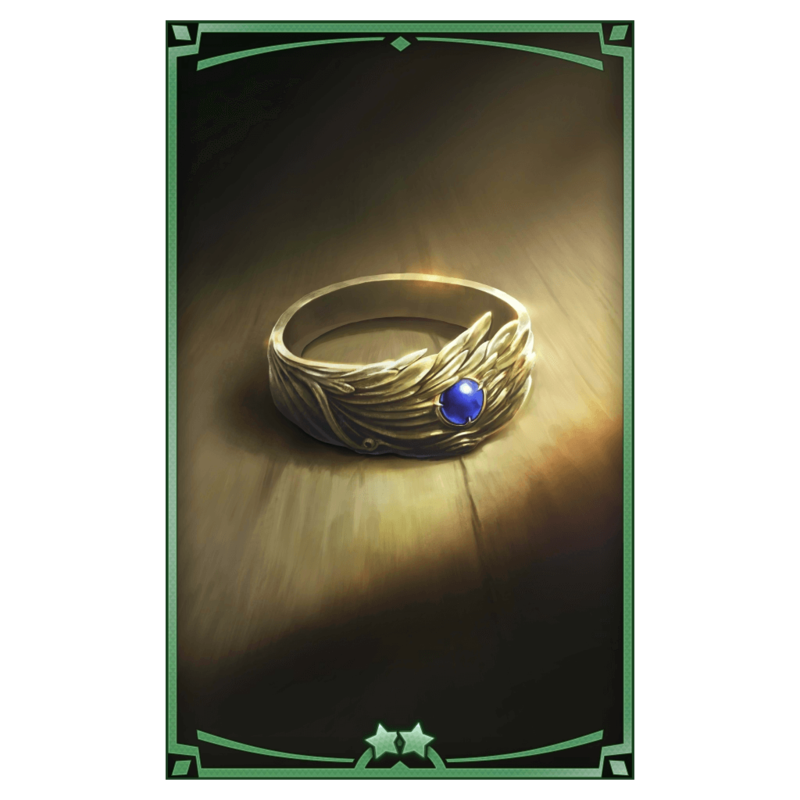 1 A magic ring that once belonged to a brave knight who served the Kingdom of Alberia. Its blue gemstone contains a small amount of mana that grants protection to the bearer. 2 After defeating countless fiends while wearing the ring on his finger, the owner came to be known as the ringed knight. 3 The ring is said to have shone brilliantly as he fought against fiends, as if somehow resonating with his very soul. 4 But alas, the ring's owner eventually lost his life protecting a young soldier on a fiend-extermination mission. He was given a full hero's burial and honors. 5 Though the ringed knight fell in battle, the young man he saved inherited his jewelry—and soon he began forging his own legend as the new ringed knight.